Hi, 2Crafty Fans! 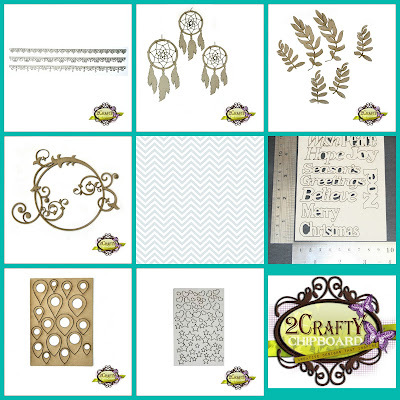 I'm very excited that 2Crafty is sponsoring CSI: Color, Stories, Inspiration this month. October being the month of Halloween in the United States, I decided monsters would be our theme tying together our Case Files. 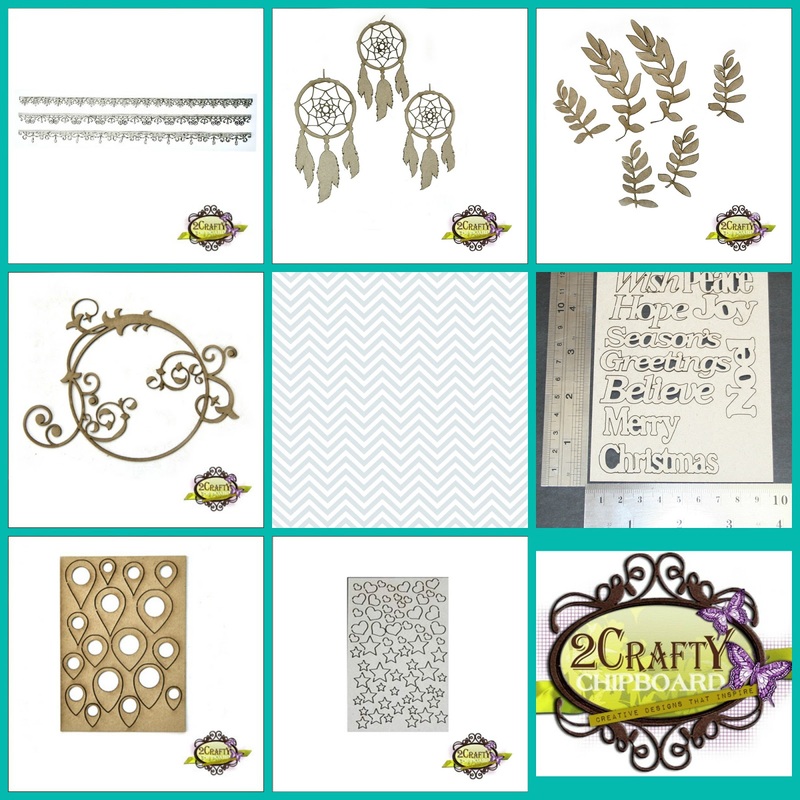 I hope you'll come play with us for a chance to win some awesome 2Crafty chipboard! 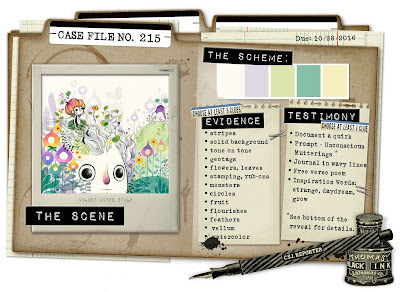 I used this Case File for my first layout. This challenge is open for the entire month of October. That's my friends little girl in these photos. 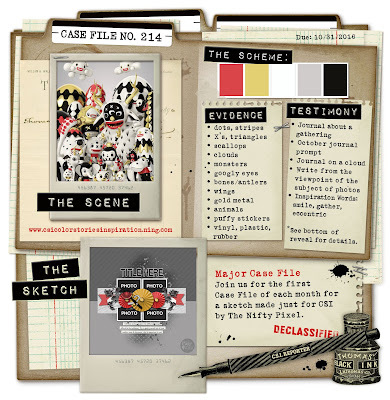 She is quite a character, and I thought the pictures would go perfect with the colors of the Case File, and I was so lucky there were four of them to go with the sketch in the challenge. 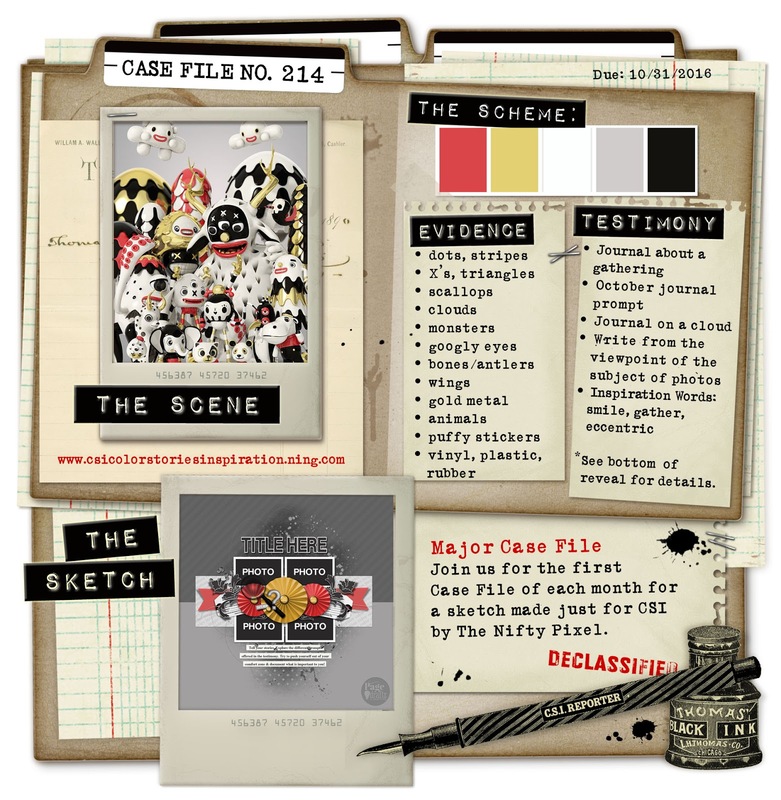 For those of you who have never played with us at CSI, the Case File might look complicated, but trust me, it's not! I made a short process video explaining how to play with our challenges and talked about the decisions I made when I created my page. In my video, I shared how I treated each piece of chipboard, but I will identify which pieces I used in each photo below the pictures. My title was created with "Alpha Set 1." The antenna on the "o" is cut from "Heidi's Vines." The cloud is from "Mini Weather Icons." The monster is from the "Blobbles" set. I also used pieces from "Triangles Set" in the picture above. The bird is from the "Cutesy Birds" pack. Its wing is from "ATC Tiny Hearts and Stars" and it's standing on a bone from the "Barnyard Animals" pack. Pictured above is the word "enjoy" from "Card Word Set 2" sitting atop an arrow from "Asst Arrows." Beneath the photo cluster, I used an "Apron Lace" border. I'm telling you, my girlfriend's daughter is an endless source of amusement and inspiration. She's sporting a princess outfit and a Star Wars Chewbaca mask. And, no, it wasn't Halloween. 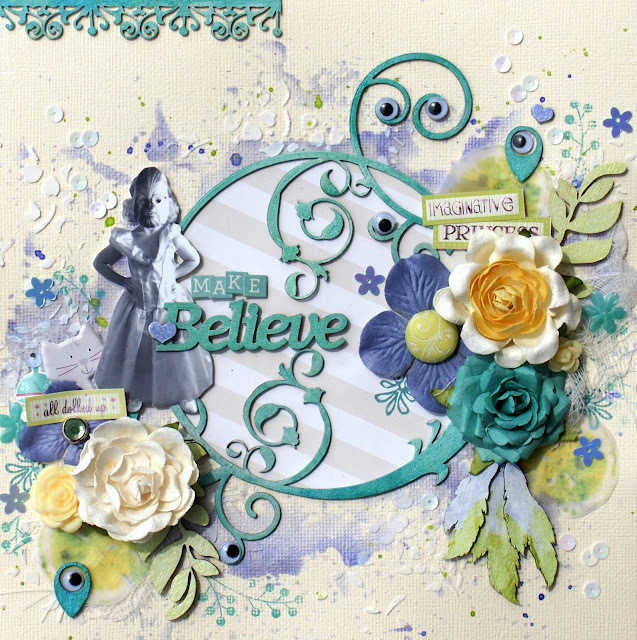 I wanted to create a princess-y yet playful scene, and I thought it would be the perfect opportunity to use some of those 2Crafty flourishes in my stash. In addition to the flourish clues in the Case File, I also found feathers, geotags, and leaves in my 2Crafty stash. I did manage to use all of the clues on my layout. The feathers were trimmed off of a "Dreamcatcher." I wanted to use the whole dreamcatcher, but I couldn't make it fit on my 8 x 8 page with all the other elements I wanted to use. I painted them with lavender and green Twinkling H2O's. Thea chipboard leaves, from "Foliage Set 1" were painted with green Twinkling H2O's. I used two different colors to get the teal colors on the chipboard. I decided to turn the circular, flourishy "Yvette's Frame" and "Geotags" into monsters! I had a piece of the "Lacy Border" leftover from another layout, so I added that to the top. The title came from the "Xmas Mini Word Pack." 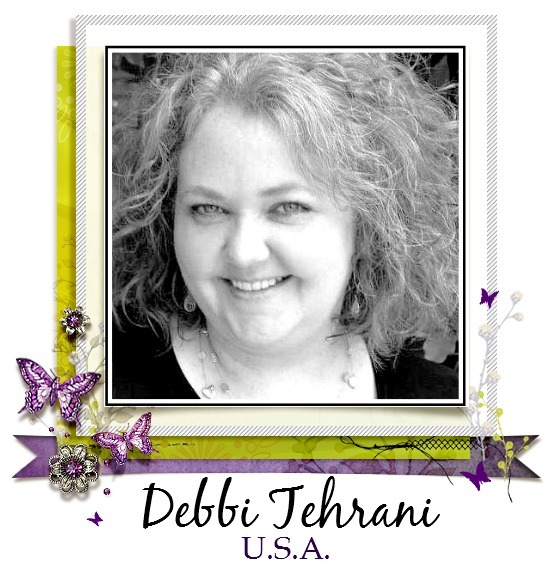 I added a lavender painted heart from "ATC Tiny Hearts & Stars" for added initerest. and I hope I've given you some ideas for using the awesome 2Crafty chipboard pieces. Two beautiful layouts! I love all the details!